Once that’s successful, enter and correct your personal data, including phone, address, email, date of birth, and create a password and a PIN – all in one page! click Submit and voila, YOU ARE IN! 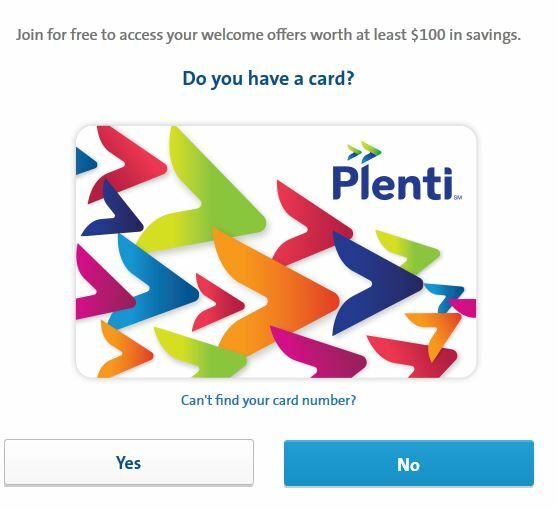 Remember, Plenti is an action-based rewards program, you don’t earn a simple percentage reward like credit-card cashback rewards programs. It seems more and more retailers are moving towards this type of offers (eg Walgreens). You then checkout the various offers, and if you see anything interesting, you may have to manually activate it before you can take advantage it. As of the time of writing (May 2015), their website has offers from Macy’s, Rite Aid, AT&T, Exxon-Mobil, Hulu, Enterprise, and National. Unlike the sneakiness of Walgreens making 10 points be worth a penny, the Plenti rewards program is more honest, one point is one penny. When you start the program, you have zero points. That’s kinda not pretty. In other rewards programs, they typically start everyone with at least some points to get them going and excited. For example, Lucky gives everyone 100 points to start with (equivalent to $1 in rewards). The program also works a bit like Fatwallet. 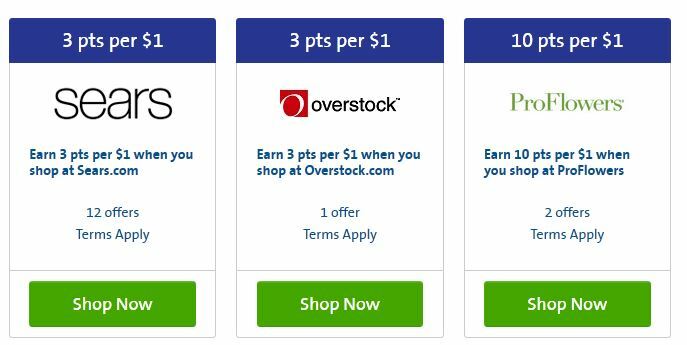 When you click on the “Online Marketplace” tab, you see a variety of points promotions at various online retailers. For example, earn 5pts for every $1 you spend at The Body Shop (in other words 5% Plenti points). You can filter the offers on the left hand size, by category or by looking at special offers and such. I haven’t used this part yet. They also have a search box, so you can type in your favorite/regular stores or product or service there, and the results will show you the available options. Another juicy bit from their FAQ, if you are using Adblock or Adblock Plus, Plenti has even created a whitelist filter list for all the participants in their Online Marketplace! 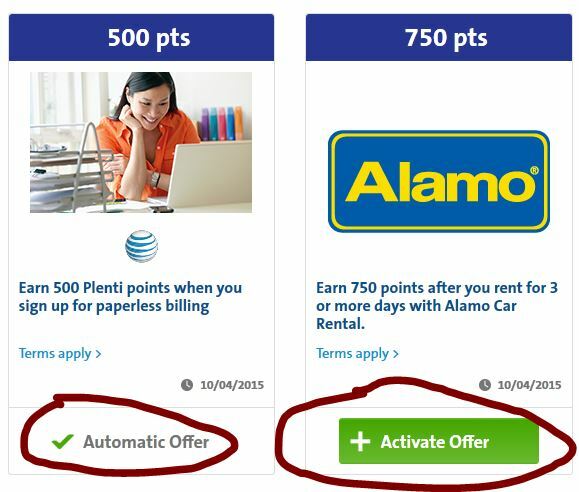 You can also (optionally) link your Plenti rewards with American Express Membership Rewards, where the transfer rate is 400 Plenti points for 500 AMEX Rewards points. Also optionally, you can link your local Grocery Store reward cards to the Plenti program, but only some of the major grocery store chains are participating (eg Albertsons, Price Chopper, Bashas, etc). You enter the zipcode to figure out who’s participating. Rite Aid is also eligible for the household offers! Per their FAQ, new household offers are added every Thursday and on the first of each new month. You can do a lot of these online, or by downloading their iOS or Android (Google Play) apps. They also offer customer support on Twitter and Facebook 9am to 9pm eastern Monday through Saturday. For the last two days I have been trying to activate my new Plenti card to no avail. I fill out everything as required, however, when I think I am through it takes me back to the beginning and asks for a salutation, which I have tried to enter and nothing happens. I am totally frustraited and about to destroy this card and discontinue shopping at Rite Aid. Nothing should take this long to process, just to save a few cents. @Sandra, how far does it go? For example, does it go past the page where you enter the card number? I converted my RiteAid wellness rewards to Plenti in-store but I had to complete the registration online using the Plenti card they handed me at Rite Aid. Perhaps the fastest way to solve this would be to contact their customer service. For all, I finally found more of their customer service, I added it to the end of the blog-post above!